Creativity pulls from many different outlets. Past experiences, current influences, trends, etc. 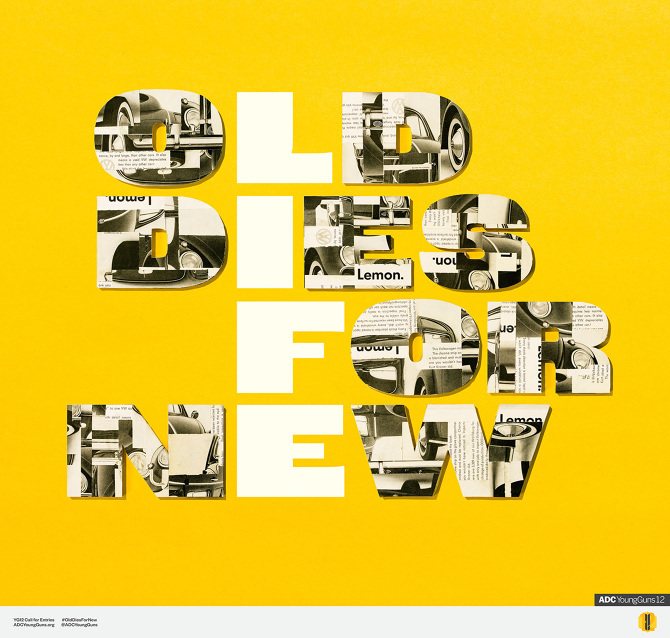 The campaign "Old Dies for New" was created to celebrate this process. Unfortunately the campaign was pulled by George Lois, one of the original influences for this campaign because he found it distasteful. I find this funny because he's the same man who had this to say. How ironic. ADC Young Guns came to DDB to help out with their call for entries campaign. This video was made to not only showcase the entries period, but as well as the campaign designed in collaboration with fellow colleagues at DDB.